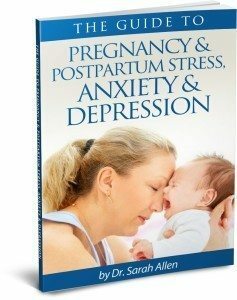 Up to 20% of pregnant and new moms experience depression or anxiety. No one can say for definite that having specific stresses or experiences in your life, or perhaps having certain personality traits, causes postpartum anxiety or depression but we do know that there are quite a few factors that can increase your risk. 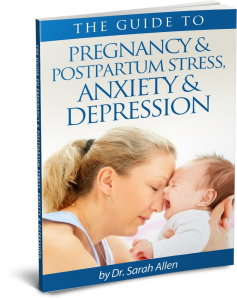 Also download my FREE Guide To Pregnancy & Postpartum Stress, Anxiety & Depression. 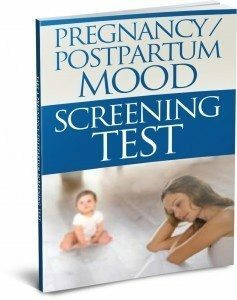 It is full of information about symptoms, different types of maternal mood disorders and advice about what to do to start feeling like yourself again. 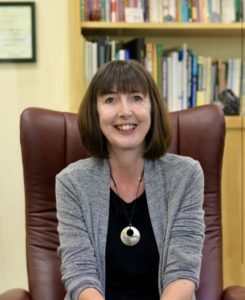 Dr. Sarah Allen has 20+ years experience as a psychologist helping women transition to being the mom they want to be. She is also the Director of the Postpartum Depression Alliance of IL, a non-profit offering info and support to pregnant and postpartum moms and their families. In her Northbrook office, in the North Suburbs of Chicago, or via telephone or online counseling she offers the most convenient way for you to access support and help. If you have questions after reading this article or the Guide To Pregnancy & Postpartum Stress, Anxiety & Depression or have any questions about how counseling can be useful to your particular circumstances please contact me at 847 791-7722 or on the form below. If you are experiencing symptoms of either anxiety, depression or obsessional thoughts it isn’t something you have done wrong, or something that’s wrong with you and you certainly needn’t blame yourself for feeling this way. It’s just, for a variety of reasons, the childbearing years are the most likely time in a women’s life to experience a mental health issue. The information in this article is not intended to diagnose or treat any medical or psychological condition. Please call me or consult your own health care provider for individual advice regarding your specific situation and needs.